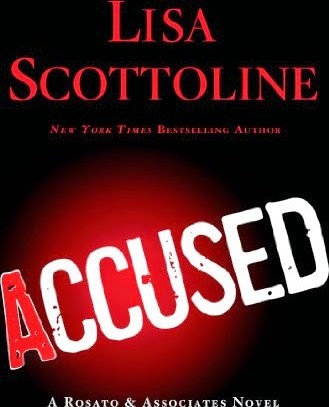 New York Times bestselling and Edgar Award-winning author Lisa Scottoline revolutionized crime fiction when she introduced her all-female law firm of Rosato & Associates, thrilling readers with her twisty, fast-paced plots and capturing their hearts with her cast of strong and relatable female characters. Now Bennie Rosato, Mary DiNunzio, Judy Carrier, and Anne Murphy are back with all cylinders firing in Accused. Mary DiNunzio has just been promoted to partner and is about to take on her most unusual case yet, brought to the firm by a thirteen-year-old genius with a penchant for beekeeping. Allegra Gardner's sister Fiona was murdered six years ago, and it seemed like an open-and-shut case: the accused, Lonnie Stall, was seen fleeing the scene; his blood was on Fiona and her blood was on him; most damningly, Lonnie Stall pleaded guilty. But Allegra believes Lonnie is innocent and has been wrongly imprisoned. The Gardner family is one of the most powerful in the country and Allegra's parents don't believe in reopening the case, so taking it on is risky. But the Rosato & Associates firm can never resist an underdog. Was justice really served all those years ago? It will take a team of unstoppable female lawyers, plus one thirteen-year-old genius, to find out.